California Pool Care offers Rocklin Pool Service customers four individual pool service plans to accommodate your budget and the demands of your swimming pool. 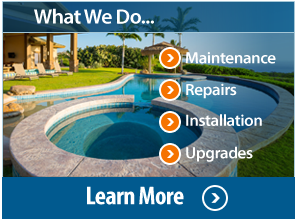 We repair, service and install all of your residential pool equipment in Rocklin including pool motors, pool timers, pool automation, pool lights, pool heaters, pool filters, pool pumps, pool valves, plumbing, pool skimmers and drains, in floor pool cleaners, automatic pool cleaners and robots, pool handrails, and pool safety devices. We also provide pool leak detection and Swimming pool inspections. We are authorized to work on all brands of pool equipment, and we represent the leading brands in the swimming pool industry. We believe in making your life easier as a pool owner by focusing on energy efficiency, properly sizing pool equipment and plumbing, hydraulic efficiency and value when recommending replacement parts and equipment for your pool. All repair and equipment quotes to our clients are FREE. 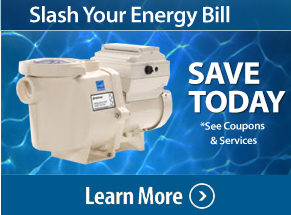 If you would like to learn more about energy efficient options for your pool call us today. 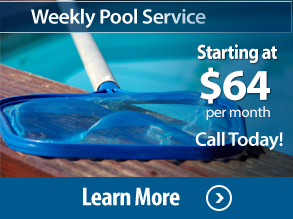 We understand the importance of keeping your pool serviced and cleaned throughout the year. Hiring a professional pool care company protects one of your most valuable home investments. We make a commitment to take care of your pool for you and your family. Our knowledgeable staff keeps your pool clean and safe and we ensure we do the job right every time. One thing that will never change is our commitment to providing you with the best Rocklin pool service in northern CA.